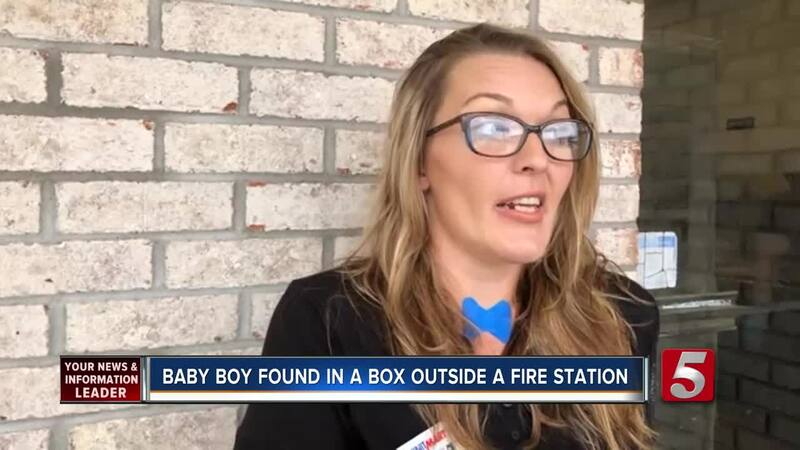 A baby boy was abandoned at a fire station in Bowling Green, Kentucky, prompting a search for the child's mother. A Good Samaritan had stopped by the station to buy a soda found the child Saturday morning around 6:30 and took it to a convenience store and called police. The infant was taken by medics to a local hospital and is expected to be okay. One of the store workers, Jessica Barber held the baby and said she's glad the infant is safe. "God works in mysterious ways and he led him to a baby and that man was that baby's guardian angel. If it wouldn't have been for that man, who knows if the baby would have made it or not," Barber said. Warren County Sheriff's deputies are looking for the baby boy's mother. They want to urge her to seek medical attention. No one was at the Gott Fire Department when the baby boy was left there in a box. Sgt. Curtis Hargett credited the Good Samaritan with saving the baby's life. "It's definitely 'divine' I think because it is a rural area. It's not a very heavily traveled road," Hargett said. Kentucky is a "safe haven" state. Within 3 days of giving birth, a mother who is unwilling to take care of her baby, can leave the infant with a police officer, firefighter, or any hospital employee. To find out more about the Safe Haven law, click here or call 1-800-510-BABY. "As a parent and as a community member, I would request that if you're going to do something like that, to at least take it to a staffed facility. That way somebody would be there," Hargett said. If deputies don't find the mother, social services will work on finding the baby a home. It's unclear whether she could face charges.